Rockers of the classic '80s band Tesla claim to be included in the yet-to-be announced (but you totally saw it coming) Guitar Hero 6. In an interview with Brave Words & Blood Knuckles, guitarist Dave Rude revealed "Modern Day Cowboy" -- from the band's 1986 debut album Mechanical Resonance -- will be included in the music title. Rude noted the song was one of three suggestions the band made to Activision when they were pursued to be included. While some (completely talentless) acts have decried the popularity of music games such as Guitar Hero, Rude feels the genre is an important step for up-and-coming rockers. "I think it's a good thing," Rude said. "Even if people don't learn to play guitar, it's exposing them to all sorts of cool guitar-based music that they wouldn't have ever heard otherwise." You hear that Kroeger? Stop crying ... and writing the same song over and over and over again. Activision has confirmed on an earnings call today that Guitar Hero 6 will be on store shelves sometime this fall, with a new DJ Hero game coming soon after. The music game market is a changing place, admitted CEO Bobby Kotick -- it will "continue to compress," with fewer titles and brands finding success. Activision has "moved from the sell-through of higher-priced peripherals," and its new plan is for "improved economics on a higher percentage of software sales." Kotick said that Guitar Hero "remains the leader in the category with more than 44 million games sold to date," and that both releases this year would be followed with "a full lineup of exciting downloadable content." Guitar Hero 6 will not feature playable celebrity likenesses. Maybe legal arguments with No Doubt and Courtney Love have swayed Activision. The game will instead allow real-life legends like Metallica founder (and drummer) Lars Ulrich to be recruited in Quest mode, according to Official Xbox Magazine. Complete their songs and you'll unlock a uniquely-powered alter-ego. Character Warrior Lars has a maximum 6x multiplayer. Kiss hero Gene Simmons will narrate the Quest mode. Guitar Hero 6 aims to return to the series' foundations, reinstating the old characters and focusing more on Rock n' Roll. Streakers, Momentum and Do or Die will be available in online modes, and all DLC will be carried over into the new game. 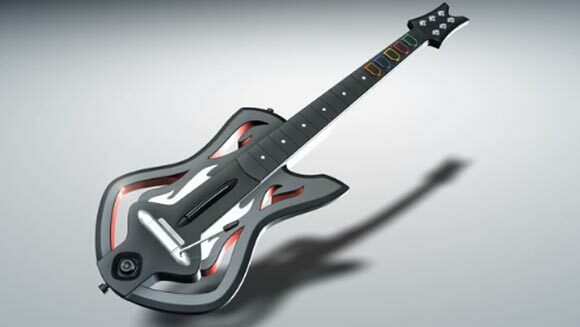 Guitar Hero 6 hasn't been officially unveiled but has been talked about by Activision in financial reports gone by. Expect full word soon, especially with E3 around the corner. Unlike the previous title, Activision's next Guitar Hero game won't be numbered, so it won't be called "Guitar Hero 6". It'll be called "Guitar Hero: Warriors of Rock". Yes, Warriors of Rock. Sounds dangerously close to the name of a Manowar song, doesn't it? Let's hope the similarities don't end there, and Activision can actually make good on its promise of returning the series to its rocking roots, and away from anything and everything it had become by Guitar Hero 5. That said, the presence of My Chemical Romance and AFI amongst the featured bands does not bode well, no matter how many Slayer songs they throw in to dilute the effects (so far it's just one, Chemical Warfare). 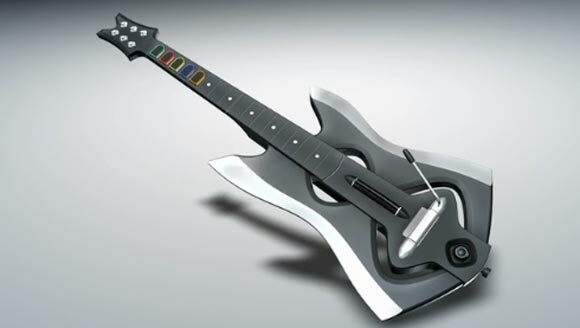 Guitar Hero 6 Guitar Hero: Warriors of Rock will be out at the end of the year, for PS3, 360 and Wii. Nothing wrong with Money for Nothing!!! Don't get me wrong,I love Dire Straits,just it seems out of place amongst everything else. Mark Knopfler is a true "guitar hero" so everything else is out of place, surely. According to the report, the wireless guitar's electronics are contained within the neck, leaving the body wings free to be detached and replaced with alternate, possibly even sillier designs. The default guitar (seen above) is only the beginning, with an "axe" design (below) set to become available exclusively through pre-order at Gamestop. Wouldn't that be the perfect last-minute addition to your Fellowship of the Ring theme band? that looks really smart, i want one, but not to actually pay for it.... time to say the secret word, don the cape and become SHOP LIFTER MAN! !